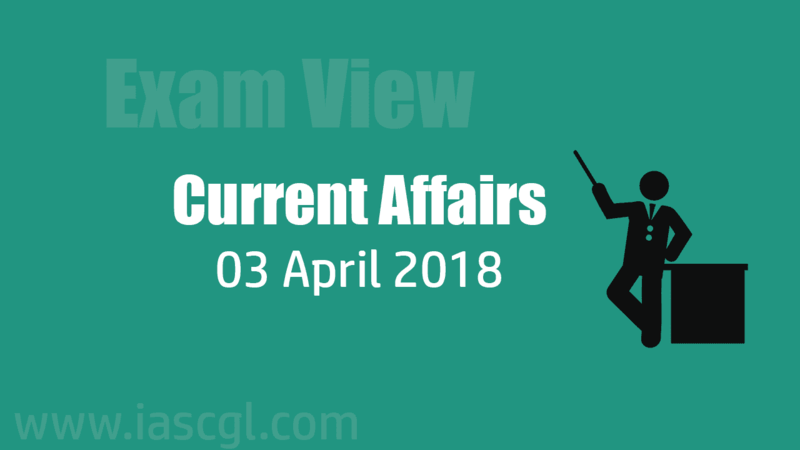 Current Affair of 03 April 2018, Exam View. The state government of West Bengal recently introduced a new scheme called ‘Rupashree’ in order to provide marriage assistance to girls coming from economically weaker families with a budgetary allocation of Rs 1500 crore. The scheme proposes to extend one-time financial assistance worth Rs 25,000 to the family of the girl whose annual income is up to Rs 1.5 lakh. The monetary assistance will be provided at the time of marriage after the girl has attained the age of 18 years. The scheme’s main focus was to ensure that girls stay in school and continue their education and delay their marriages until at least age 18. A woman is required to fill the application form before her marriage and submit it to the office of Block Development Officer or Municipality Office to avail benefits under Rupashree. The scheme is expected to benefit around six lakh families annually. The state’s Finance Minister has proposed to provide Rs 1500 crore for the implementation of the scheme. Multi Modal Logistic Park at Balli(Goa) Inaugurated. On 28.03.2018, A Multi Modal Logistics Park at Balli Station near Madgaon in Goa state on Konkan Railway route was inaugurated by CMD Konkan Railway Shri Sanjay Gupta and P K Agarwal, Director. The park has been set up with an investment of Rs 43 Cr. 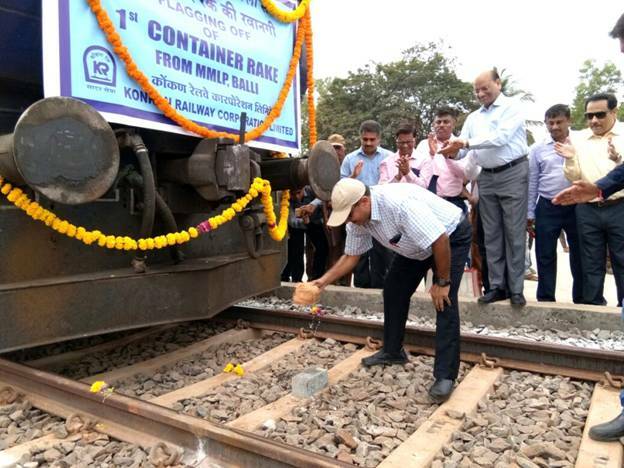 as per the MoU entered between Konkan Railway & Container Corporation of India Ltd.(CONCOR). Both Trade & Industry in Goa will greatly benefit from the economic transport solutions & state of the art facilities that CONCOR will be providing in partnership with Konkan Railway at this facility. The facility is initially spread over 81,300 square meters with a scope for expansion as the traffic may grow in future. In order to conduct research and comparative study of the teachings and messages of the Sufi saints of all religions, the country's first Sufi Research Center is being prepared in Khanakah Munmiya, located at Metan Ghat in Bihar. In this institute, course for Postgraduate and PhD in Sufi subjects will be offer. A world-class interpretation centre and other tourist facilities for visitors were today inaugurated at the Konark Sun Temple, coinciding with Utkal Diwas -- Odisha's foundation day(1stApril). Interpretation centre will not only educate the tourists about the rich history of the temple but also throw light on the natural and cultural heritage of Odisha. infrastructure and facilities at interpretation centre will be developed by IndianOil Foundation (IOF), a trust formed by Indian Oil Corporation. Konark Sun Temple: Built in the 13th century, the temple was conceived as a gigantic chariot of the Sun God, with 12 pairs of exquisitely ornamented wheels pulled by seven horses. China is set to unveil this year the world's longest cross-sea bridge, connecting Hong Kong, Macau and mainland China. The crossing, which took seven years to complete, is 55km-long and six lanes wide, comprising of of four tunnels and four artificial islands. The bridge will cut travel time in half, drawing mainland China, Macau and Hong Kong to within an hour's commute of each other. United States President Donald Trump on Monday proclaimed April 2 as the World Autism Awareness Day in a bid to recognise and support children and adults suffering from autism spectrum disorder. It is to highlight the need to help improve the quality of life of those with autism so they can lead full and meaningful lives as an integral part of society. Autism is a lifelong neurological condition that manifests during early childhood, irrespective of gender, race or socio-economic status. The term Autism Spectrum refers to a range of characteristics. It is mainly characterized by its unique social interactions, non-standard ways of learning, keen interests in specific subjects, inclination to routines, challenges in typical communications and particular ways of processing sensory information. The 2018 Autism Awareness Day observance at United Nations Headquarters New York will focus on the importance of ‘Empowering women and girls with autism’.